Each new TV season audiences are inundated with a fresh batch of sitcoms designed to make them laugh, although most jokesters usually fall flat. 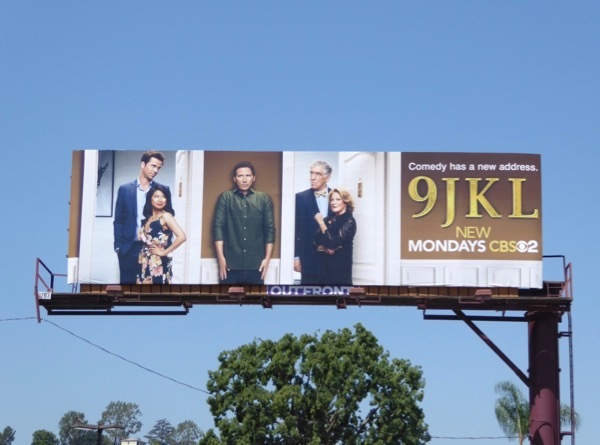 Daily Billboard also feels there's always one comedy which doesn't have that special hook that will keep viewers coming back and this Fall season Mark Feuerstein's new CBS sitcom, 9JKL, feels like the prime suspect. 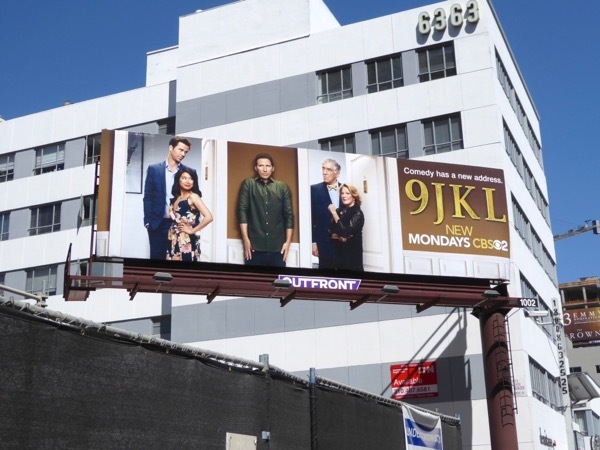 The series is based on the actor's own life experiences, as in between projects he returns to New York City after twelve years of living in L.A., moving into the same apartment complex as his doting parents and brother's family. 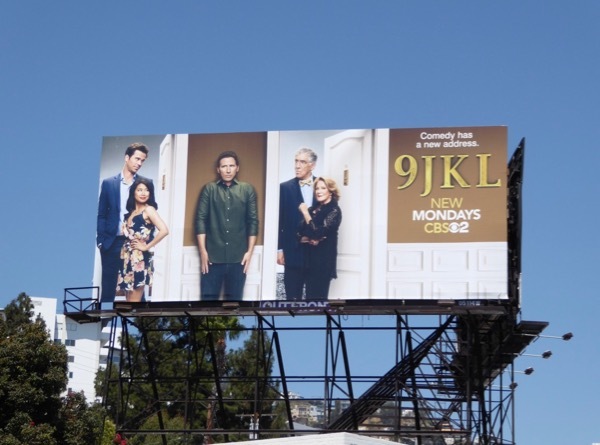 Hopefully with parents played by Friends Elliot Gould and Broadway veteran Linda Lavin, and About a Boy's David Walton starring as his brother and Super Fun Night's Liza Lapira as his sister-in-law, his experienced comedic family can help supply the laughs necessary. 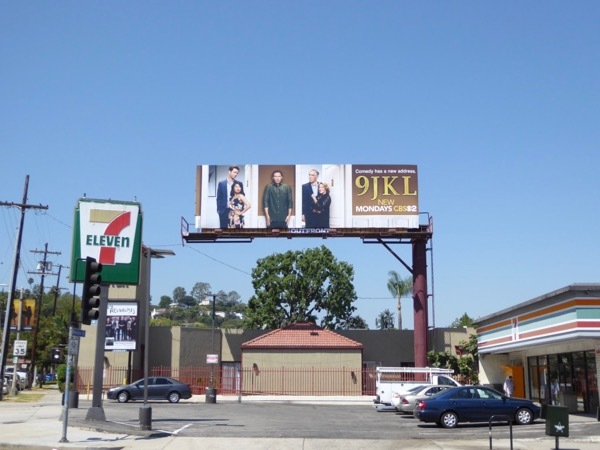 These series launch billboards for 9JKL were spotted along Ventura Boulevard, Pico Boulevard, Santa Monica Boulevard and Wilshire Boulevard from August 22 to August 27, 2017. 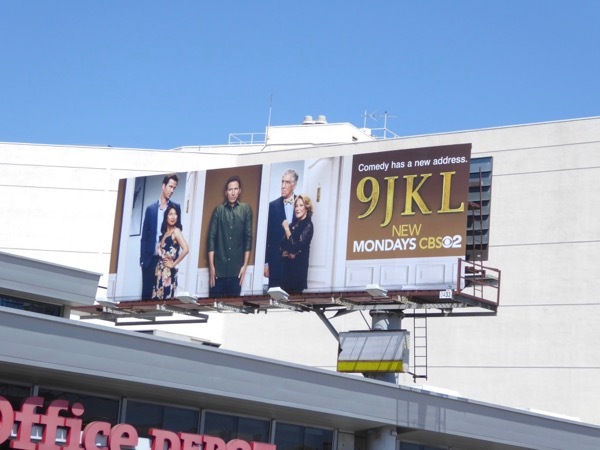 Meanwhile Mark Feuerstein fans can also enjoy these TV billboards for Royal Pains and for other comedies about next door neighbours, you can also check out these Don't Trust the B in Apt 23 billboards. For now let's give the new family comedy the benefit of the doubt and hope they won't be boxing up their belongings and moving out before they become comfortable in their new home.